Every few weeks a politician, pundit or soap star causes a media storm by making a gaffe or tweeting a joke that some people do not find funny. Comedy is very hard to get right and yet we think it’s important to have a sense of humour and not take yourself too seriously. On the other hand, a sense of humour failure can lead to losing your friends, your twitter account, your job, your career and, in some cases, your life. James Cary knows about this. He is a sitcom writer who’s written jokes about bomb disposal in Afghanistan ( Bluestone 42 ), defended comments about Islam by Ben Elton on Newsnight , been on a panel with radical Muslim cleric Anjem Choudary, sits on the General Synod of the Church of England and somehow managed to co-write episodes of Miranda . An odd mix, but one that makes him very readable. 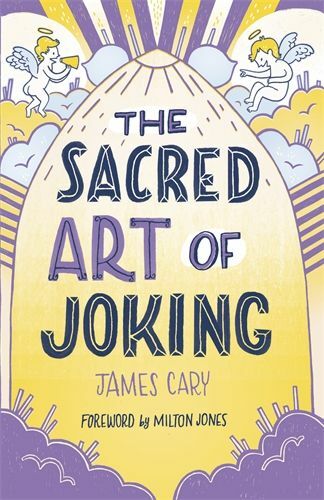 This entertaining, breezy book, explains how comedy works (with jokes and quotes) and gives much-needed insights into the controversy surrounding humour.